Some blog owners setup a blog - then a social media account or two - and immediately, start advertising each new blog post in social media. Later checking Google and other search engines, they find that the blog is now indexed - but the index entries point through the FaceBook, Google+, and / or Twitter posts. 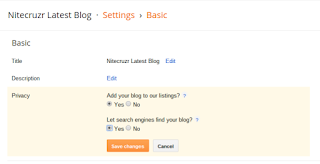 The blog, under "blogspot.com", is nowhere to be found, in any SERP entry. Not everybody realises that Blogger promises anonymity, when properly setup - and that anonymity comes with a price. Not all Blogger blogs, by default, are indexed directly. 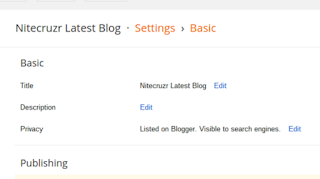 Setup a new blog - and examine the selections for Privacy, in the dashboard Settings - Basic page. You may find a blog, properly setup for anonymity. 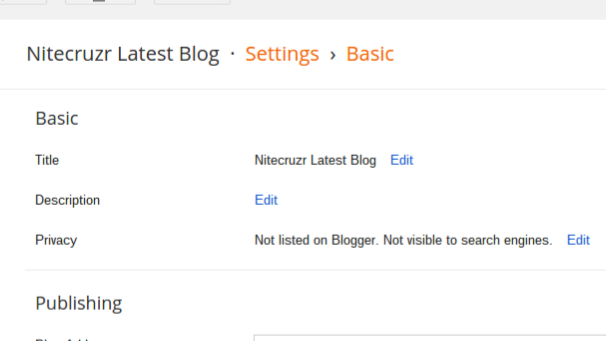 If the blog is setup for anonymity, click "Edit", and change both settings. 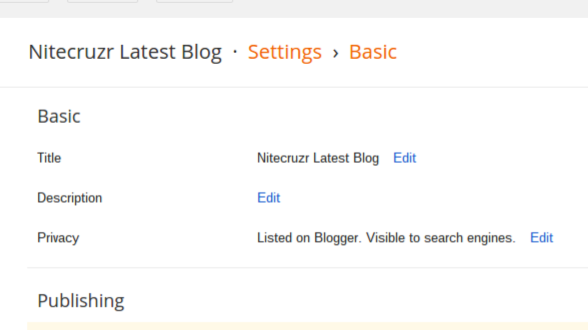 And now, you have taken the first step, towards making the blog publicly visible. Social media, like FaceBook, Google+, and Twitter, are, by default, public. Nobody sets up a social media account, expecting anonymity - except when using an obscure account name. Content published in FaceBook, Google+, or Twitter will be indexed. That's the purpose of social media. 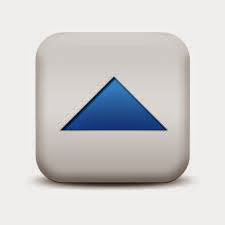 Get indexed - and become visible. With content in FaceBook, Google+, or Twitter indexed immediately, a "blogspot.com" address - published anonymously (by default, if not by intent) is going to appear very low in a SERP - if it appears at all. With a Blogger blog, setting the Privacy settings is just one step, towards a properly publicised blog. But it's a necessary step, for some blogs. 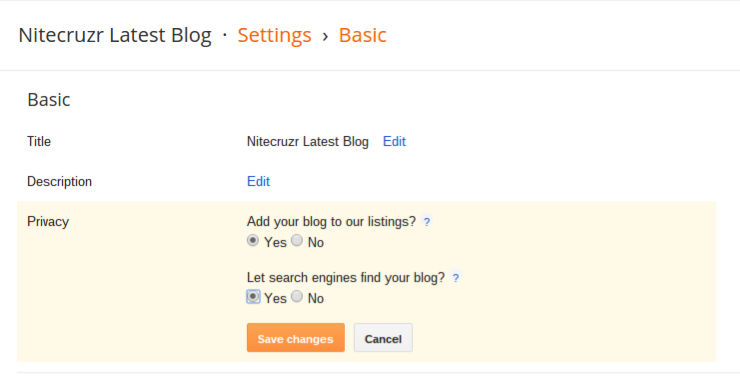 Some #Blogger blog owners setup blogs, without checking Privacy settings - and wonder why their social sharing of the blog posts is visible in search results, though the blog posts themselves are not. Checking Privacy settings, they find that the new blog is, by default, not indexed by the search engines - even though the social sharing is indexed.